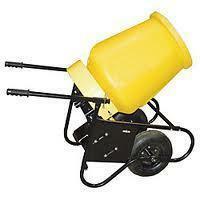 Electric mixer holds up to 2cu.ft and is on a wheel barrel type frame for easy moving around where ever you are!! Call and reserve today! !